GeekOut Media’s Top Book of Top 10 Lists: Coming Winter 2017? We’ve been thinking about new ways to share our content with the world; but more importantly how to reward those who have been with us all the way. We’re really excited to announce that Joel and I have begun discussions on creating our first ever eBook which we haven’t got an official name for yet. We’ve got a working title, we’ve got a premise, we’re going to talk Top 10 with all of you, as these have, by far, been our most well received articles. So buckle up, here’s the low down on what we’ll be offering everyone – Hopefully, kinda maybe as soon as this Christmas. We were asked by the lovely team over at the Later Levels if I would like to take part in doing a monthly Q&A, to open discussion about video games amongst bloggers. If you’re interested in joining in the discussion, leave us a comment below, or reach out to Later Levels. Every month here on GeekOut South-West, we’ll be sharing what the question of the month is, as well as what our answers to this question is and our justification for the answers. In an article a little while back, I mentioned I was starting up more series on YouTube this year. This is true and we’re starting the year off on the right foot by starting our third Let’s Play series, Beyond Good & Evil. Read on to see the first episodes of this Ubisoft classic. What does an Octopus, Mach 20 and teaching have in common? Of course, Koro-Sensei, the sole premise of Assassination Classroom. Wait, not Koro-Sensei… Koro-Timlah?! Read on to find out what I will be attempting for February‘s GeekOut Meetup. From Joel and Timlah of GeekOut, have a happy new year. I hope new years’ day goes well for you all and that you have much success this year! Here’s a look-back at 2015 for us. Look at this, the earliest time we’ve ever released a GeekOut article: at 1 minute past midnight. We’re in the New Year here in the UK! Now that 2016 is upon us, why not look back at some of the articles Joel and I consider to be our personal favourites and best of the past year. 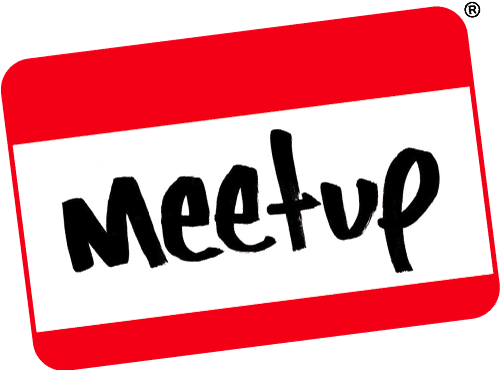 Now that 2015 is behind us, I think for me I am proudest of GeekOut the meetup group. We’ve built a fantastic, all-inclusive community of like-minded geeks. We’re able to say without any shadow of a doubt that we’ve built from what we started the year with and made it turn into an event that truly feels special. 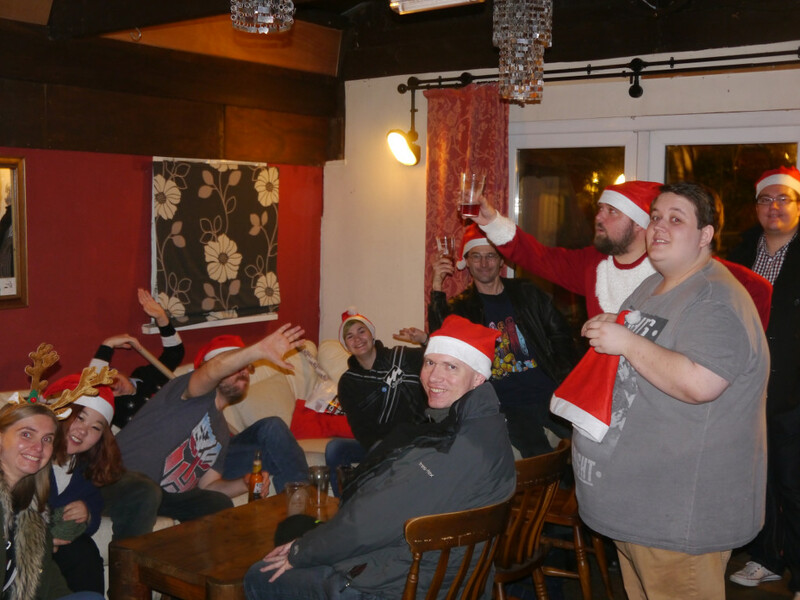 From a simple recurring meetup joke that’s now turned into our official mascot, Gordon the GeekOut Goat (more on that in the first quarter of 2016), to the humongous Christmas meetup we had last month, we can tell there’s a shift in perception about our group. I’ve learned a lot this year, discovered a great deal about my personal writing style, mostly by coming down from my lectern and climbing up on a soapbox. Getting a little into film review and critique has raised my analytical skills, and generally discussing my experiences as an overt and perhaps excessively geeky person in day to day life have caused me to be far more analytical of myself. This was also an incredible year of accomplishments for me, two interviews with some very important people; Gerry Anderson’s son Jamie, who’s in the process of restoring the ultramarionation style his father made famous, and Professor Elemental, who can proudly proclaim – at the very least – an major part in the founding of a genre. I also finally had a stab at NaNoWriMo, granted it failed but I’ll be trying again next year, and this time I’ll be doing it ~snigger~ write. All in all, this has been the third year of dramatic change for me, and almost all of it positive. This year coming will also see my second anniversary with GeekOut, and having helped take this show from strength to strength has been an incredible experience that piles positivity on top of positivity. Here’s to a fourth year of growth. 2015 was a highly successful year for us both: We were considered worthy to be press pass holders for EGX Rezzed and Kitacon[link]. We took full advantage of this: For Rezzed, we held interviews with developers and hosted the audio over on Soundcloud. Eventually, I’d like to get this ported over to YouTube. Our biggest interview yet was with Professor Elemental and both Joel and I worked tirelessly on this. Joel came up with some truly fun and unique questions for the quirky professor and I managed to turn him into a prime minister. Kind of. Make sure to have a listen to Joels’ interview with the professor and feel free to laugh with the dreadful animation I provided! We’re here in 2016 and we’re a duo of the proudest geeks you’ve ever met, so brace yourself as we’re coming to make this another successful year. What’s your plans for 2016? Let us know in the comments below, or join in the conversation over on Facebook and Twitter. 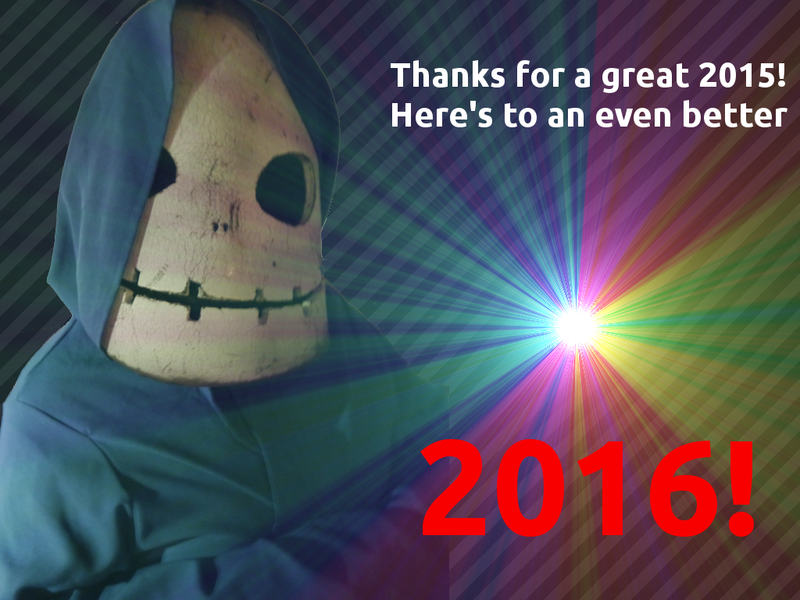 Articles will resume at the normal time (9am) tomorrow, so in the meantime have a Happy New Years’ Day! Cosplay is still a major passion of mine, something that I go through a roller-coaster of emotions for. In the New Year, I intend to be doing a few new costumes and picking up the slack on ones I’ve sort of left by the side. These are my costume plans for the New Year, along with what characters you should expect me to be working on. Christmas video games are few and far between, probably because the deeper meaning of the holiday would have religious connotations which doesn’t make for the most riveting of games. Once in a while, a game attempts to pull the cracker laid before it and hope for the best. Garden Rescue: Christmas Edition is one of these games that has attempted to quell the beast that is the season to be giving, but does it get much in return? Timlah investigates this incredibly cheap game on Steam. Garden Rescue is another damned tower defence game, but I went into it with no knowledge as to what it was. Once again, we’re greeted with plants fighting off bugs to stop them from eating the plants at the very end. But this isn’t any normal edition of Garden Rescue, this is the Christmas edition which means we’re not saving normal plants. No, we’re saving the mighty colourful Christmas tree from being eaten by bugs. How these bugs could damage such huge trees is beyond me, but nevertheless I’m here to set the record straight with this title. Is this a game you should consider getting this Christmas, or steer clear of like a blizzard? It’s hard making a game that’s compellingly Christmas enough. It’s not exactly a season full of greasy men running around with guns that act as proof of overcompensation, though in the other extreme it’s not a season of eating dots and enemies. No, this is a season to be jolly, to be happy and to be sharing, caring. How can you convey this in a video game? Not very easily is the answer, but it’s easy enough to turn any game into a so called Christmas game with a little bit of skin altering. I don’t feel it’s fair to slap Christmas onto games like this, as if it were me, I’d expect this to be way more Christmas themed than it actually is. The game, as you’ll see in the gameplay, is basically just a typical tower defence game. Don’t get me wrong, it actually is relatively enjoyable, especially for such a low price tag. Developers have to make these kinds of games if they want to get anywhere in the games world, but hey; A little more transparency when declaring your game is a Christmas game would be nice. Interestingly, this title was made by Big Fish Games, who are masters of the casual gaming market. However, this is the same as any other title in Garden Rescue, but it just happens to have the enemies in Christmas Stockings or bobble hats and Christmas trees instead of normal trees. There’s also a slight difference in the way the maps look. I’ve not played other Garden Rescue games, but based upon what I’ve played here, I wouldn’t need to. It appears as if all of the Garden Rescue games would be the same, but perhaps with some slight variation in level design and of course the overall skin of the game. But the game itself played fairly nicely and for the sake of a couple of quid, I really can’t feel as if I’ve missed out on anything here. If you’re looking for a casual game to pass the time, you might want to consider Garden Rescue this Christmas. That’s it, hope you enjoy the video and enjoyed this look at Garden Rescue. Please remember to like, comment and subscribe to the GeekOut YouTube channel, where I show off my gameplay ‘skills’ and Joel has done a whopping interview with Professor Elemental on there, you should check that out if you haven’t already. Remember to keep it geek this Christmas and have a great holiday season. Check us out on Facebook and Twitter!